Four hundred and a thousand years ago, first capital of Japan was constructed in Asuka. It was the centre of culture, economy and politics of the ancient nation. Many cultural assets of the time were handed down to the present, but most of them were brought out from Asuka area in the passage of long time. Also there are old treasures found in archaeological excavations and kept outside of Asuka. In this exhibition we are going to bring those dispersed cultural assets together again in one place. The collection would help us to recognize the importance of Asuka area in Japanese history again. 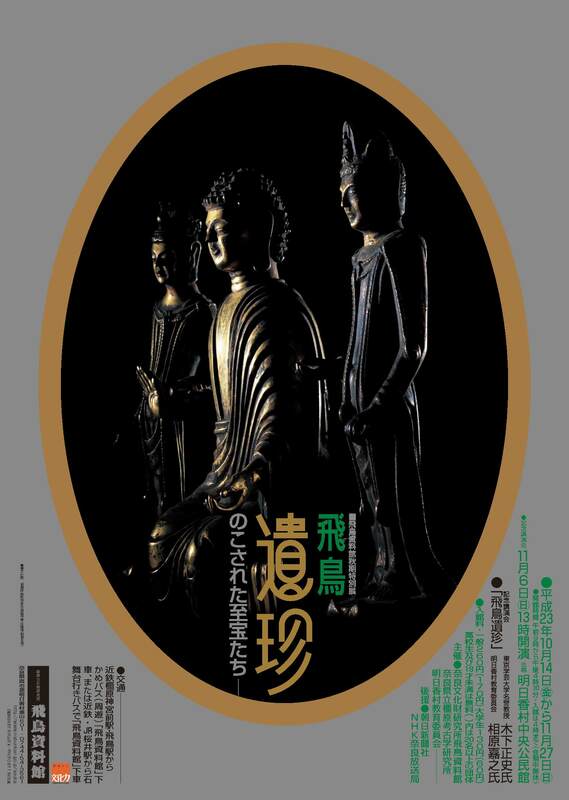 Copyright © 2004 奈良文化財研究所　飛鳥資料館ファン倶楽部::2011 AUTUMN SPECIAL EXHIBITION All Rights Reserved.